If you are planning an investment in a new franchise, commercial janitorial services may not have been your first thought. Few people enjoy cleaning, which is why you might not consider it as a profitable business. However, it is for this general dislike for tidying up that the commercial cleaning industry has a value of $160 billion today, and expected to increase another 10% before 2026. Regardless of what the evolution of the economic sector will be, there will always be demand for commercial cleaning companies. Institutions hire these services to protect their assets, reduce personnel costs and ensure that they receive professional janitorial solutions. The market for professional janitorial services is in continuous ascension. Nevertheless, in this industry, there are no dominating industry names or corporations that practice monopoly strategies. No company controls more than 5-7% of the market. 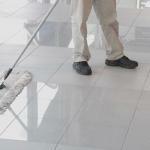 Therefore, there is always room for another commercial cleaning franchise. Contrary to other industries, the cleaning market will most likely never be outdated by technology. The human capital is essential in commercial janitorial franchises, and most businesses invest considerably in the training of their staff. Furthermore, any technological leap that we can experience will only improve the industry of professional cleaning services, since this will mean the discovery and implementation of better cleaning solutions and products. Opening a commercial cleaning franchise has a pretty straightforward goal. You don’t have to invest too much in marketing schemes that increase awareness about what you have to offer. Also, if you buy the franchise from a well-established brand in the industry, you will operate under a renowned name and standard that people will approach without second-guessing. The workers that you will hire for your future commercial janitorial service company do not require extensive head-hunting. Your employees do not need formal education or professional skills to clean business offices and organization facilities. Your recruiting costs will be low and the only money that you will have to invest in human resources will be directed towards the proper training of the janitors and cleaners that will work for you. Opening a janitorial cleaning franchise does not burn a crater in your investment budget. 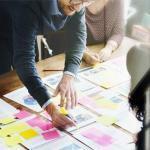 Most franchisers are open for discussing business expansion at costs that do not exceed $30,000. With an additional liquid capital of $5,000, you can set up a commercial cleaning franchise that will meet your entrepreneurial goals and provide you with long-term success.